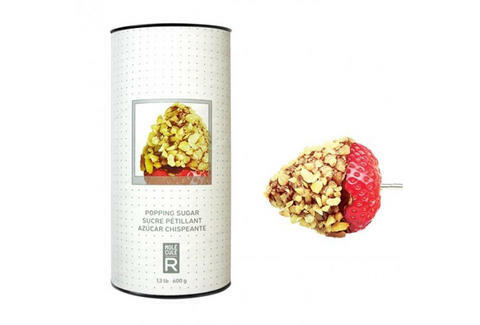 It's hard to resist the urge to dump Pop Rocks on everything you put in your mouth -- except Coke, don't do it, man -- and now you never have to thanks to "popping sugar" that makes your food crackle. Molecule-R's carbonated sugar is a fancy version of that sacred candy without all the tropical fruit flavors. Basically, you grab a pinchful out of the stuff, sprinkle it on your food, and let the fizzy, crackling party on your tongue commence. The company recommends putting it chocolates, desserts, and ice creams, but this is America, so don't let Molecule-R stop you from Pop Rocks-ifying your meatloaf. The standard can (in "professional size") is 1.2lb and costs $29.95, but you can score a 2.9oz jar off Amazon if you just need a quick hit.